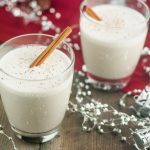 This refined sugar-free, paleo and dairy free eggnog can be made in an Instant Pot, slow cooker, or stove-top. I didn't grow up drinking eggnog. I know right? My family didn't drink it. So it's only been the last few years that I've been enjoying it. Initially, I found the thick full-fat stuff from the store just too thick and would have to water it down with milk or ice cubes. Now, though, I love its thick creaminess. 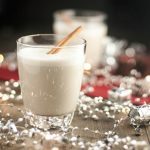 I didn't realize how easy making your own eggnog was until last month when I first started to look into making my own dairy free eggnog – because I had some ideas about flavoring eggnog as a result of making an eggnog protein shake. I know that some eggnogs are made with raw eggs and that some people are worried about salmonella and the risks to certain populations (like pregnant women and people with compromised immune systems). So I decided to go with the cooked one. Some recipes only used the yolk, and some used the whole egg. I'm not sure the reason for this, but it just made sense to me to use the whole thing, so I did. I had to try a few things before I got where I wanted it to be. I started with almond milk, but just didn't like the almond flavor in the final product (although I must admit that it did taste much better after a night in the fridge). My first attempt was in a saucepan on the stove-top, which I got impatient with and when I increased the temperature a bit too much the eggs began to cook unevenly, resulting in an appearance like curdled milk. I thought it was a goner, but Holley threw it in some ice water in the sink then in the Vitamix blender and totally rescued it. Perfectly smooth. So here it is. 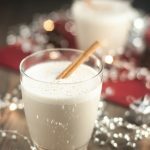 Dairy free eggnog made in an Instant Pot, slow cooker, or on the stove-top (stove-top instructions are at the bottom of the page). Creamy. Christmasy. Noggy. As for flavored eggnog, check out the Healthy Chocolate Eggnog. Add this dairy free eggnog to coffee. Serve with grated cinnamon and/or nutmeg (or sprinkle with the powder if you don't have the sticks or nuts. Is nutmeg a nut? Probably not. What would you call that? I should look it up. Maybe you should look it up. Maybe later.) I haven't tried this in the Irish Cream Eggnog Ice Cream yet, but I don't know why it wouldn't work. Try it and let us know how it goes? Whisk eggs and salt together. 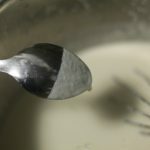 Gradually add cashew milk, coconut milk, and syrup while continuing to whisk. Select “Slow Cooker” setting on Instant Pot and press the “Adjust” button repeatedly until the “Less” setting is selected. Adjust time to 1.5 hours. Cover with pot lid slightly ajar. 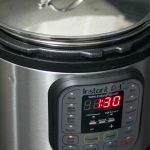 If using a Slow Cooker/Crockpot use the “low” setting. Stir periodically over the next 1.5 hours (I set my phone timer for 15-20 min as a reminder). The mixture will thicken as it cooks and is done once it can coat the back of a spoon. See notes about overcooking. As it begins to thicken, watch/whisk more frequently. If it's not quite done, add another 30 minutes and continue to watch. Fill the sink with cold water, and when the eggnog is finished move the IP insert into the cold water. This will cool the metal and nog so that is stops cooking. Mix in remaining ingredients (cinnamon, nutmeg, vanilla, and booze). If it's not quite smooth enough, run through a blender or a strainer. Refrigerate in sealed container (a lot of liquid seems to evaporate if you don't). I personally didn't like the almond milk flavor but found the cashew milk more to my liking. Holley liked the almond milk version just fine. If cooked too much/too quickly (too high a temperature), the eggnog will look like it's curdling. I did this on my first attempt, and Holley was able to save it by putting it in a blender, resulting in the perfect creamy texture. If that doesn't work you can use a strainer to take out any chunks. From what I've read, you should drink this eggnog within a couple days of cooking. If you add in rum/bourbon/cognac it'll last longer. I can also tell you that it tastes even better the day after cooking. In a medium-large saucepan (at least 2 liters), whisk eggs and salt together. Gradually add coconut milk, syrup, and 2 cups of cashew milk while continuing to whisk. Heat over medium-low heat, stirring constantly until mixture thickens to the point that it can coat the back of a spoon (approx. 25 min). Remove from heat. Whisk in remaining cashew milk, cinnamon, nutmeg, vanilla, and alcohol (if using). If eggnog is not smooth: run it through a blender or pour through a sieve. Refrigerate in a sealed container. See notes from above recipe. Sounds really good! I’ve actually never had egg nog before! I love that you can make this in the Instant Pot! So awesome! So nice to have a dairy free version too so everyone can enjoy. 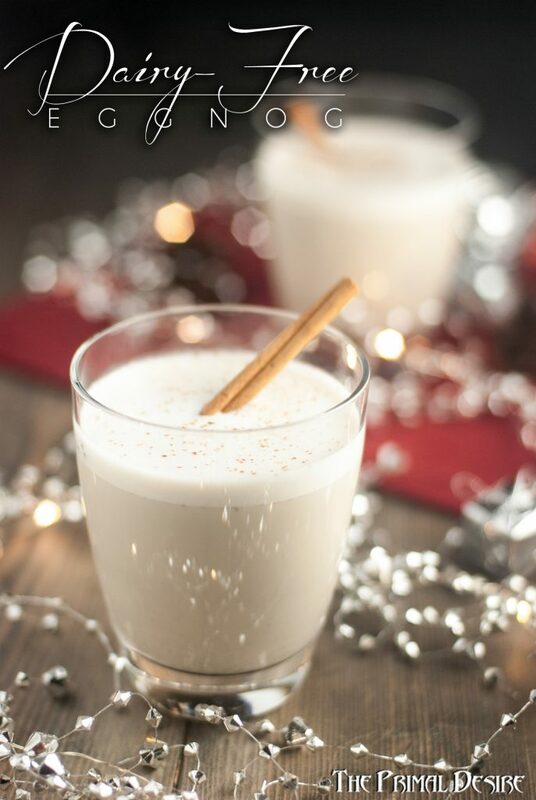 I’ve never made egg nog before, but I love how easy your recipe is, plus it looks delish! Yeah, I thought the same thing when I first looked at an eggnog recipe! 1/5th dairy-free recipes are probably complicated to put together LOL. I hope this helps! OMG of course in the IP! Sheesh! Wow! Great idea! Love the cashew milk – I’ve tried making it with only coconut and it’s overpowering – love this idea! Exactly! Hope you like it! Eggnog in the IP? I would have never thought of that! I love that idea! Yum! Definitely making this in my IP – yum! Happy holidays! If I receive an IP fro Xmas I will try this! Looks amazing! I’m shocked that you don’t have one yet Stacey! Love that this is dairy free AND an instant pot recipe!! Cashew milk is the best, homemade cashew milk, I love how it thickens when heated! 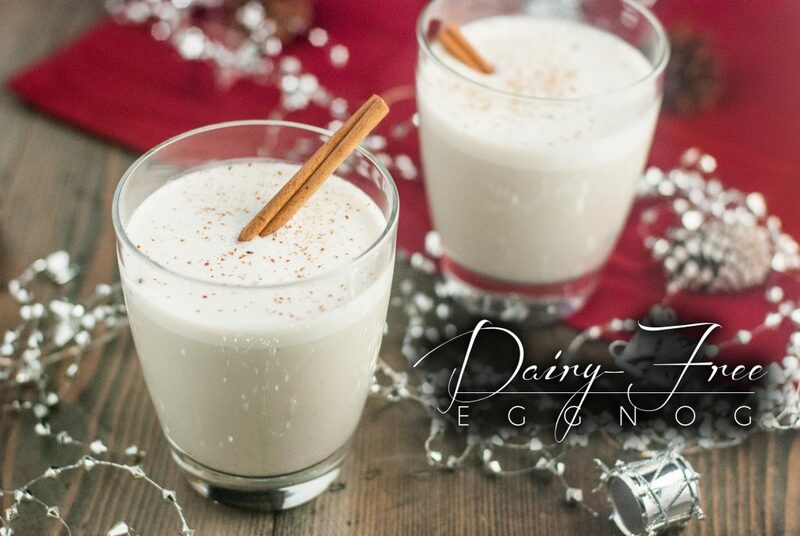 What a wonderful holiday addition for dairy free eggnog ! Thanks for sharing ! I love egg nog. I love that this is dairy free. Looks delish. YUM! Yummmm! I’ll take mine with a little bourbon, please! !